The R&B Upstart Runs Between Expansive Influences, Stops to Chat Early Roots, Social Issues & The Digital Space. The Brooklyn native strikes a chord with bold, brash new tunes. September 5, 2018 | Groovy Bed-stuy performer BAYLi may not be "the best," as she so cheekily snickers, but she does use her music for good. Songs like "Out for Love," off her brand new ferocious and swagger-ific release, BAYLi Summer Mixtape, dripping with beats and confidence for days, aim high when others go low. Then, she pours it on hot with such standouts as "Right Now," "Problem" and "Kid," a bookend which employs acoustic guitar sitting on top of the otherwise high-fructose blend. "Feels like I'm still a kid," she observes about herself, the song exploding into her most pop-leaning composition. "I don't know what I'm doing sometimes," she later nods. Her frankness is only part of her charm, assisting her raw talent with cutting to life's biggest truths in lyrics that spin and drop from her mouth. "But everybody is," she adds, on all of us really being kids at the end of the day. 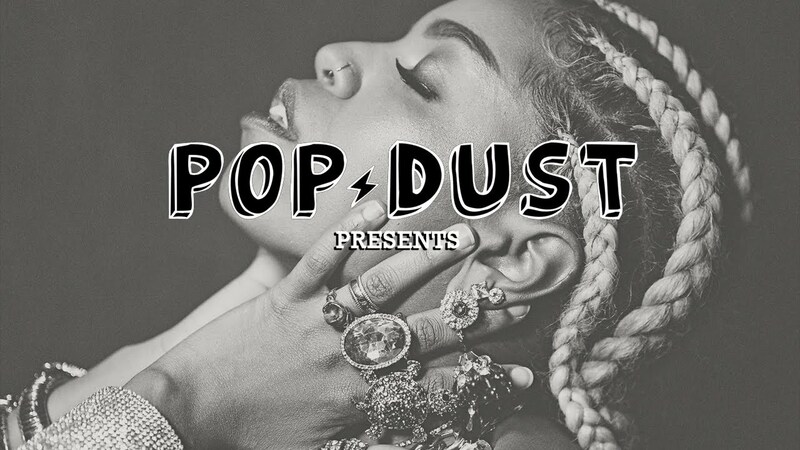 "I think I'm doing some kind of alright..."
Last week, BAYLi stopped by the Popdust studio to chat with host Deascent about digital influence, social issues, brand new mixtape, early roots at music school, and former band, The Skins, among other hot topics. Watch the interview above. Bred and born on the Brooklyn cityscape, the 24-year-old combs a vast array of musical touchstones, from slicked-back R&B to juicy pop glory to the slow-burn of indie. Unsurprisingly, the first record that had a lasting impact on her was Lauren Hill's The Miseducation of Lauryn Hill, empowering her womanhood and coming of age status. Her subsequent sound straddles many lines, even if her heart and soul is firmly planted in hip-hop. The BAYLi Summertime Mixtape is like a rainbow exploding in the dead of night as a firework roaring across the starry backdrop. "I see music as a mood or different moods," the singer says. "Certain rhythmic elements or sounds will reflect that mood so it's hard to pick one." "Out for Love," which was written by industry titans Justin Tanter (Britney Spears, Kesha, Kelly Clarkson), Sasha Sloan (Maggie Lindemann, Camila Cabello, Tinashe) and Alex Hope (Troye Sivan, Years & Years), instills a sense of love amidst so much darkness in the world. The video, her favorite to-date, adheres to the adorable nature of popular rom-coms from 10 and 15 years ago. She previously explained, "It feels like early 2000s teenage rom-com. Is that weird? It's super poppy and playful. The narrative shows shots of my trying to get people to show me love and attention, but no one's looking, and it seems like no one wants to give me any love. Everyone is too distracted by what's on their phones or their work, and everyone else is taken. But you guys have to watch to see what happens in the end, whether BAYLi gets love or not."